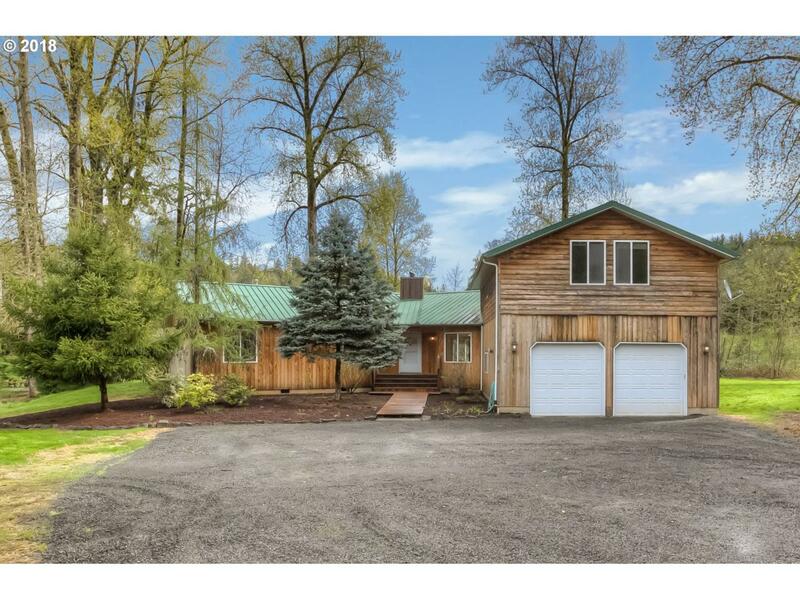 Charming custom home built w/ open floor plan situated on 1+ acre lot adjoining Abiqua Creek. Ample oak hdwd flrs on mail. Wood frplce centrally located in LR. 2 bedrooms & office/den located on main level; large 3rd bedroom on upper level which could serve as rec room. Geothermal furnace uses water from well to heat & cool home. Spacious rear deck for enjoying views of river & nature. A wonderful rural home just mins from town.